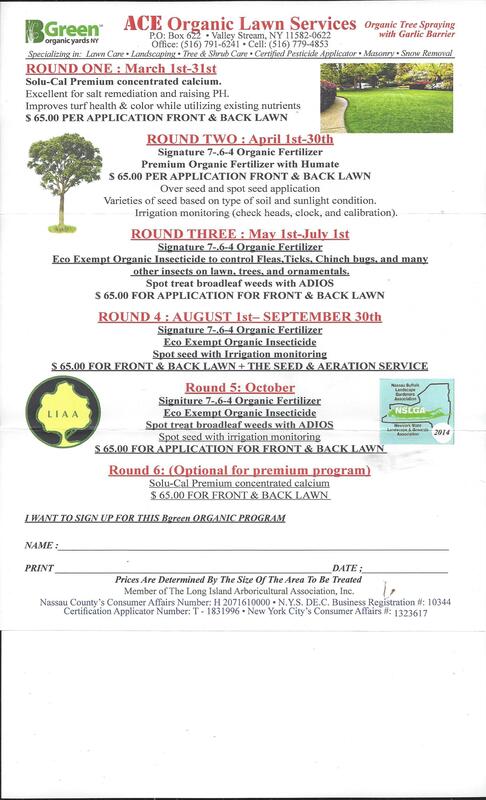 An organic lawn grows beautifully, is safe for you and your family [pets and wildlife included] and needs minimal care. Growing a healthy and safe lawn is as simple as using common sense—organic common sense, that is. If you build the soil and use a few basic cultural techniques, you'll have a lush stand of turfgrass without harming kids, pets, wildlife, the water supply, and the rest of the environment. Here are three easy steps to get started on a thick, green organic lawn. The simplest way to help your organic lawn grow up healthy and dense is to adjust your mower's cutting height to its highest setting. Why? Tall blades of grass have more surface area exposed to the sun, enabling them to photosynthesize more sugars and starches for greater root growth. Greater root mass means better access to water and nutrients, so plants are more tolerant of drought and can recover more rapidly from dormancy. Cut grass to 3 to 4 inches tall. Most grasses can be mowed to a height of 3 to 4 inches. 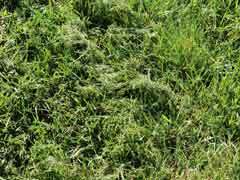 Some varieties, particularly fine fescues and centipede grass, fall over at that height and should be mowed a half inch to an inch shorter than other grasses. Remove just one-third of the blade. No matter how tall the turf, refrain from cutting off more than one-third of each grass blade in any single mowing, or you risk stressing the grass. 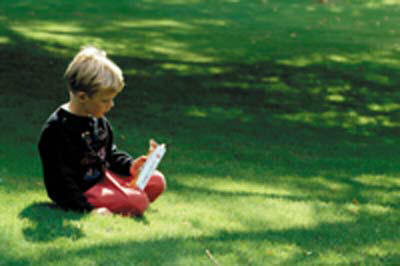 And cutting off just one-third will produce small clippings, which you should leave on your lawn right where they fall. Keep the mower blade sharp. A dull lawn-mower blade will tear grass, and the jagged wounds make the plants susceptible to infection and allow for more rapid evaporation. I recommend sharpening the mower blade after every 8 hours or so of cutting. Most hardware stores and any power-equipment dealer will sharpen your blade quickly and inexpensively. As grass clippings decompose, they contribute valuable nitrogen to the soil, almost 2 pounds of nitrogen per 1,000 square feet of soil each season or about half of the lawn's annual fertilizer needs. They also add organic matter and provide a variety of other benefits to the soil and grass. Many people believe, however, that clippings left on the lawn contribute to thatchdead or dying grass parts [such as stems, stolons, crowns, and roots] that form a layer on top of the soil and obstruct moisture and oxygen from reaching plant roots. But just the opposite is true: Fresh clippings stimulate earthworm activity, which breaks down thatch. You'll leave no room for weeds if you mow your grass often [but not too low] with a sharp blade and grow it in soil that's rich in organic matter and biological activity. Researchers at the University of Maryland confirmed that mowing cool-season turfgrasses to 3 inches high works as well as or better than herbicides for suppressing crabgrass. In my experience, dandelions, common purslane, and other low-growing annual weeds also do not survive in a lawn that's cut high.